This custom interactive content was created for the client’s cross-Canada tour to celebrate its partnership with the CFL as well as the 2017 Grey Cup. To do this, three projectors, three infrared (IR) cameras, and three custom computers using patented gesture control software were installed onto the client’s customized touring trailer. 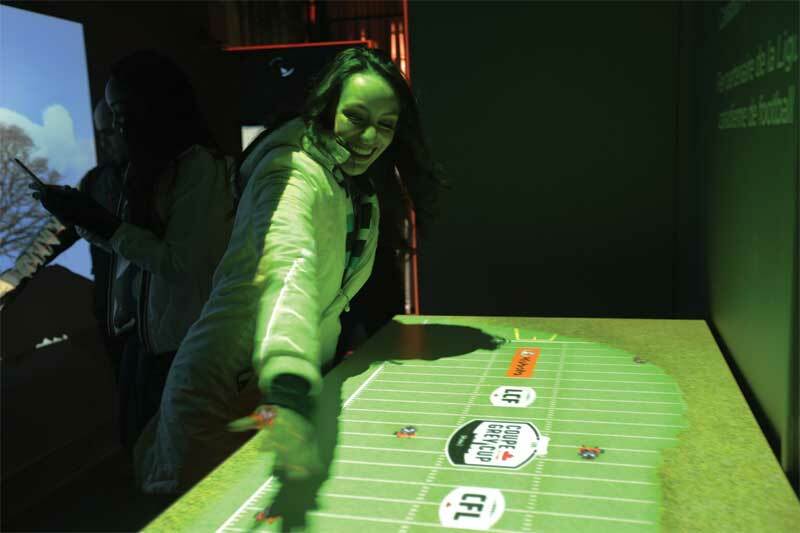 Each interactive projection was triggered by visitors’ hand and body movements as they moved across the projection.